The matching kit for the pattern Triple Embraces of the book "Beadwork Evolution". The book must be purchased separately. 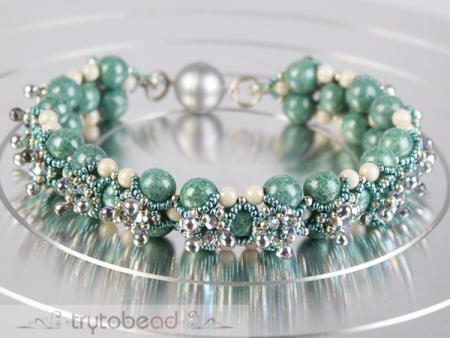 The kit includes all the beads and a magnetic clasp to make this bracelet.